(SPOT.ph) If you didn’t already know, here at SPOT.ph, we love food. 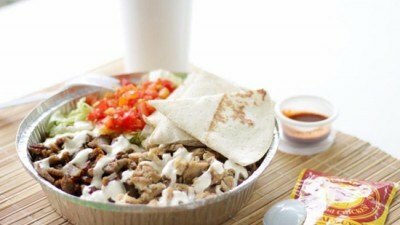 You need it to live, but we find that there are some dishes that go well past the virtue of necessity. While others content themselves with a deep fryer and the usual salt and pepper, there are some who make—or at least try to make—an art out of it, with delicious displays and even yummier flavors. We believe those that go above and beyond their duty deserve necessary recognition. So here are our top picks among the dishes we ate throughout January. 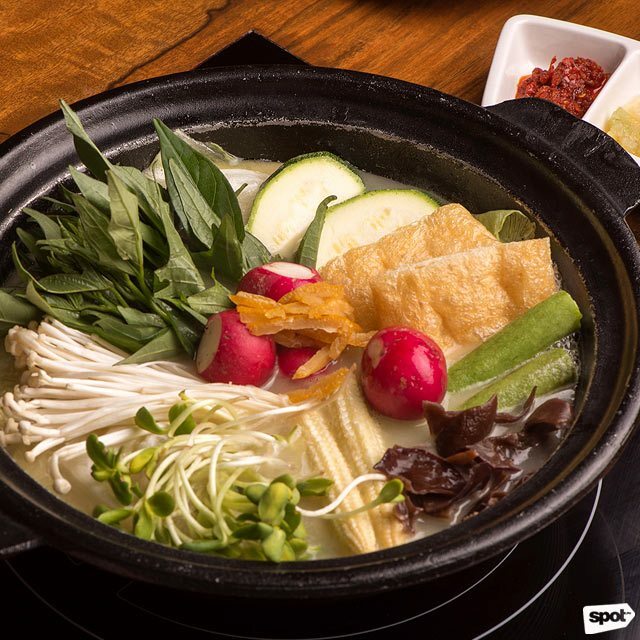 Also known as “beauty hot pot,” the bijin nabe is the star of Tsukada Nojo’s menu. 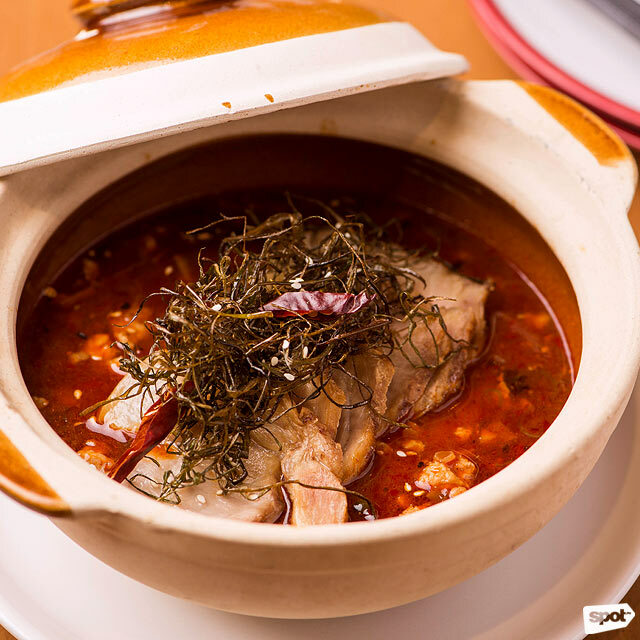 Their hot pot is made by melting collagen extracted from premium Jidori chicken, creating a rich broth. 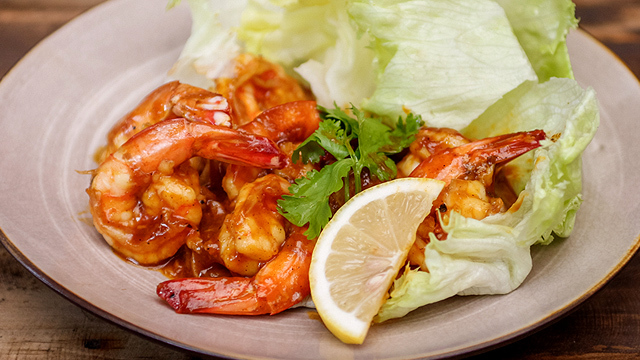 Fresh vegetables, tsukone or chicken meatballs, and prawns are then added to your pot, making it slightly sweeter. The meal is finished with zosui, a Japanese porridge infused with chicken but with a subtlety that makes it a great palate cleanser. Bijin Nabe is 2/F S Maison at the Conrad, Mall of Asia Complex, Pasay City. Cheese lovers will have a grand time with Jin Joo’s Cheese Dung Galbi. 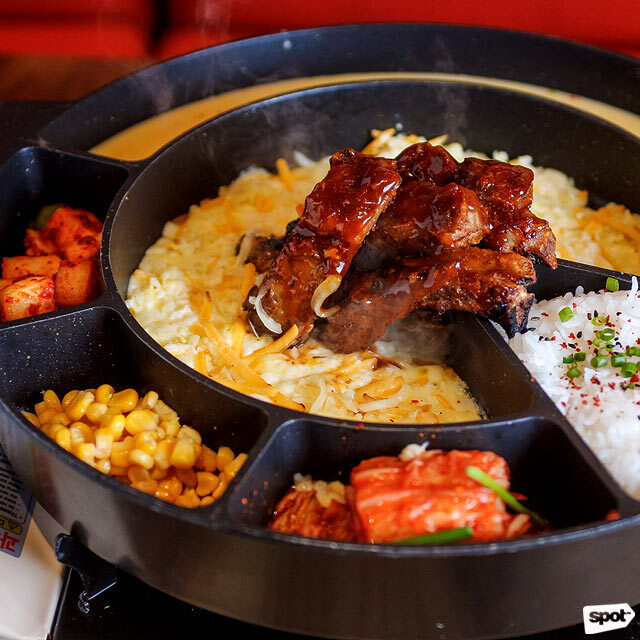 At this Korean restaurant, you’re encouraged to play with your food and this dung galbi, or South Korea’s take on baby back ribs, is no exception. An order of Cheese Dung Galbi will get you a plate of shredded Parmesan and mozzarella: melt it over a stove to turn it into a gooey cheese sauce, which you can then wrap around the ribs. The sweet-smoky ribs are already lipsmacking good on their own, but we’re not ones to refuse an excuse to eat more cheese. Your meal also comes with a side of rice, steamed egg, kimchi, and corn kernels, which you can mix with your leftover cheese sauce to create fried rice. What makes Plank’s pizza stand out is their sourdough crust, which they get from their sister restaurant Baker & Cook. The crust is baked in an oven designed according to owner and celebrity baker Dean Brettschneider’s specifications, for a result that’s perfectly charred and crisp on the outside, and soft and chewy on the inside. The slight tartness from the sourdough shines through even when the crust is loaded with premium toppings—in the Pizza Number 3’s case, it’s salmon, capers, wild mushrooms, tomato, and rocket. The Pizza Number 3 is especially memorable because of its special cheese sauce, which Dean then loads up with more cream cheese. Plank Sourdough Pizza is at 1/F S Maison at the Conrad, Mall of Asia Complex, Pasay City. While Common Folk is primarily a coffee shop (and they do serve really good coffee), their menu of sandwiches steals the show. Take the Say Cheese, Common Folk’s version of the grilled cheese sandwich. 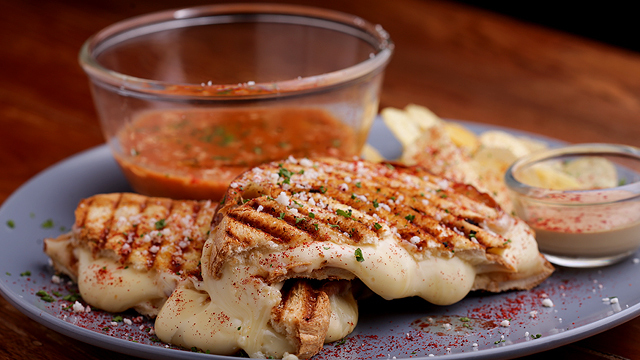 An order will get you two sandwiches, with a blend of three different cheeses oozing out of their panini cage and creating a gooey puddle on your plate. It also comes with a bowl of tomato soup for dipping, which has just the right touch of acidity to counteract the richness of the sandwich. Just one look at Ping Pong Diplomacy’s noticeably not-red interiors lets you know that this isn’t your typical Chinese restaurant. Their Mapo Tofu, for one, definitely strays far from the original. Instead of squares of tofu, Ping Pong Diplomacy covers the bottom of their pot with fresh soya custard. The result is velvety “tofu” that makes slurping the spicy broth somehow feel more comforting—so go ahead and slurp it. Aside from their third wave coffee and espresso-based drinks, Stockwell also serves a menu of appetizers, sandwiches, and pastas to complement their coffee. 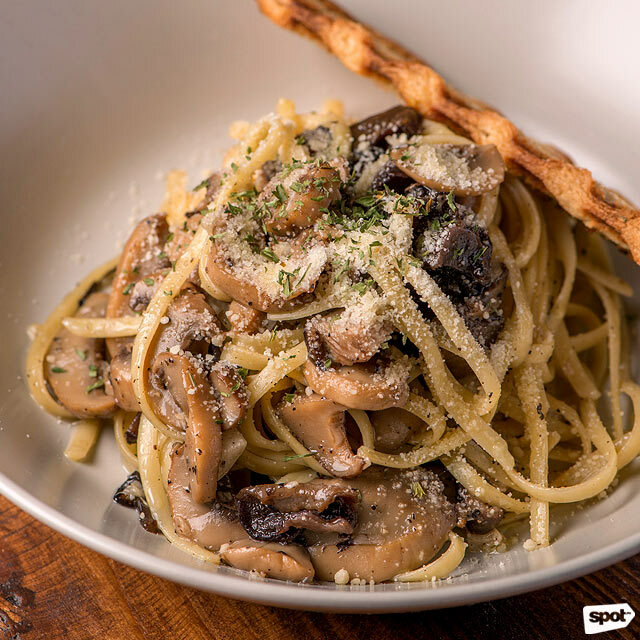 The aroma of Stockwell’s Truffle Mushroom Linguine is enough to make mouths water as it’s set on the table. The truffle flavors the pasta with restraint so it doesn’t get too cloying, making this dish seem light—but don’t be deceived, because this can get quite filling. If you’re trying to meet your fitness goals for the year, Bliss Bowls can help you out, with smoothie bowls that are packed with flavors and nutrients minus the calories. A surprise standout from the menu is their Amazing Kale. 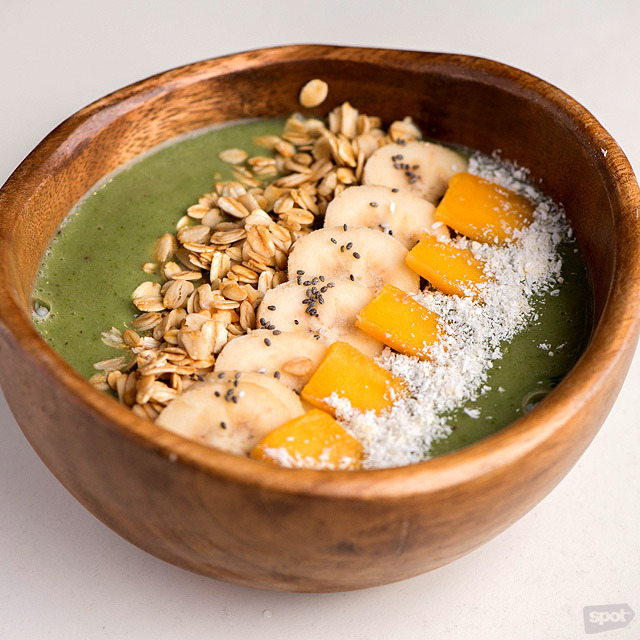 If you’re new to this super food, let this smoothie bowl be your introduction. This mild and refreshing kale and coconut milk smoothie bowl is topped with bananas, strawberries, spirulina, coconut flakes, granola, and chia seeds. There’s almost zero leafy flavor from the kale, you’ll probably forget it’s even in there. Bliss Bowls is at 4/F SM Megamall Building A, Mandaluyong City. 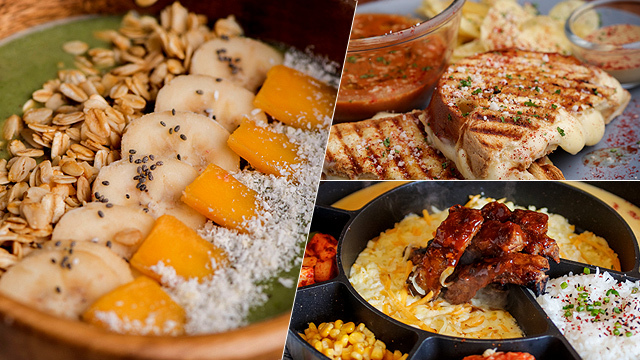 Tortuga in Katipunan offers not just tropical-themed cocktails, but also dishes that explode with bold, spice-rich flavors. 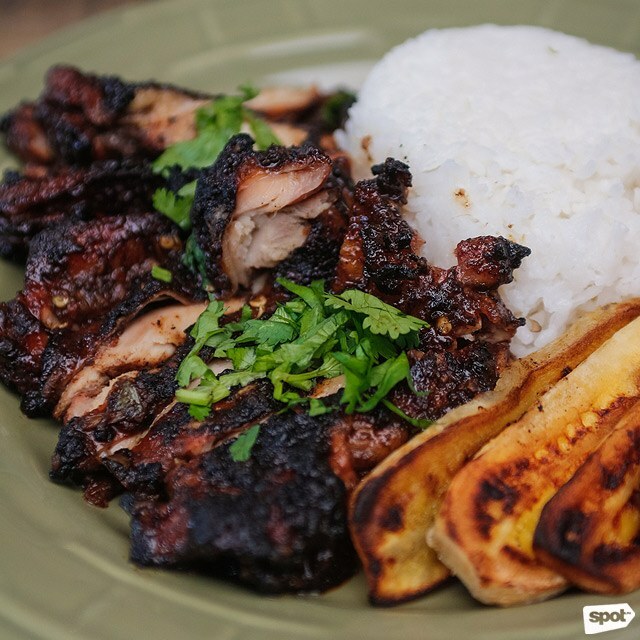 A standout from the menu is the Jerk! Chicken, marinated on the sweet side to complement the smoky flavor of the barbecue. It pairs really well with its side of spicy vinegar. Tortuga is at 42A Esteban Abada Street, Loyola Heights, Quezon City. Uma Uma didn’t just open a new branch in Uptown Parade—they’re also offering new menu favorites and Filipino twists on the classic ramen. 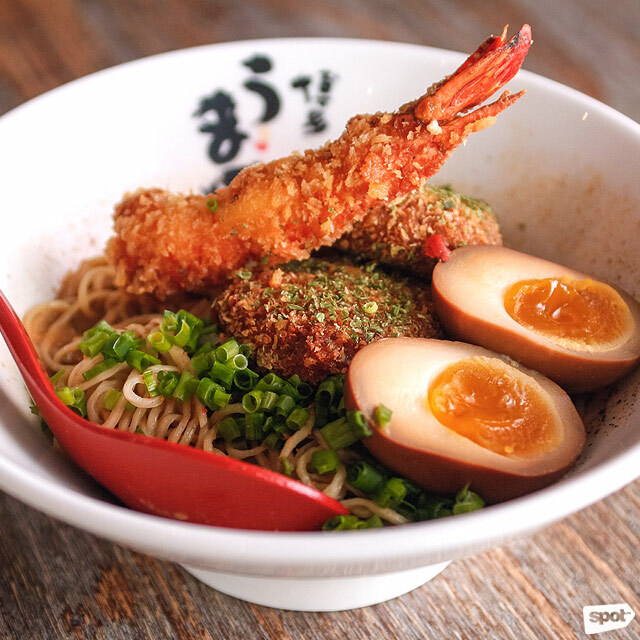 One bowl that highlights local flavors is the sinfully delicious Aligue Ramen. Made dry to highlight the flavor of the seafood, this ramen is made with thin noodles and generous amounts of indulgent crab fat, plus crab cakes, a crispy ebi tempura, and a soft boiled egg. 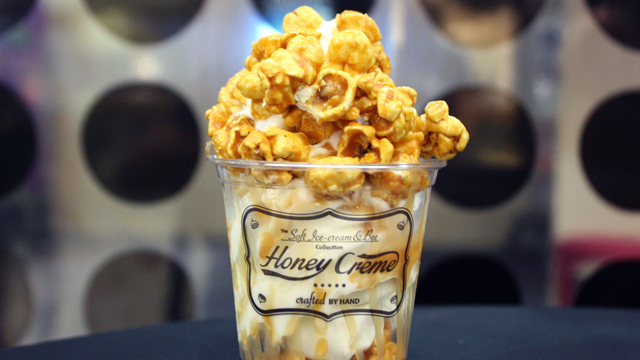 Uma Uma is at 2/F Uptown Parade, Uptown Bonifacio. Everyone knows the tempura but not many know of its donburi counterpart, the tendon. If you’ve been itching to try this Japanese dish, then head over to Tendon Akimitsu. 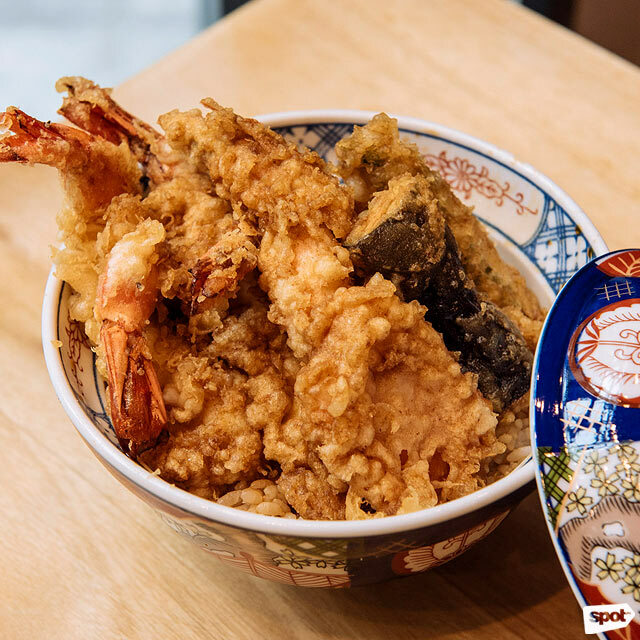 The Ebi Don comes with prawn tempura on top of a bowl of warm rice and is served with that tasty sauce that’s familiar to donburi fans. The tempura batter here at Tendon Akimitsu leans more on the soft side, but never to the point of sogginess, and it’s the perfect thickness for letting the freshness of the prawn shine through. You’ll be converted to this version of tempura before you know it.